Cuba, officially the Republic of Cuba, is an island country in the Caribbean. The nation of Cuba comprises the main island of Cuba, the Isla de la Juventud, and several archipelagos. Today, the Jewish population of Cuba is approximately 500. While it remains unclear when Jews first arrived in Cuba, it is popular lore that three Jewish men arrived after the expulsion from Spain in 1492. Some believe that these Jews traveled to Cuba with Columbus: Luis de Torres on the Santa Maria, Juan de Cabrera on La Pinta, and Rodrigo de Triana on La Nina. All three were Marranos, or forced Jewish converts to Catholicism. 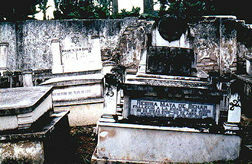 Francisco Gomez de Leon, a Jew, was put on trial during the Inquisition in Havana. He was later executed in Cartagena and his large fortune was confiscated. There is little information about Jews in Cuba until the late 19th century, the beginning of the organized Cuban Jewish community. During the 16th and 17th centuries, Jews immigrated to Cuba from Brazil. They were persecuted under Portuguese control. New Jewish immigrants established trade in Cuba and, by the 18th century, Cuban Jewish trade reached Amsterdam, The Netherlands and Hamburg, Germany. Jews continued to be harrassed during this time, and many of the originial Jewish immigrants assimilated and acculturated into Cuban society. In the late 1800's, Jews from the Dutch Antilles settled in Cuba. They supported Jose Martí, who liberated Cuba from Spanish colonial rule in 1898. Many Jewish traders pursuing business in the New World set up outposts on the island. In 1898, after the Spanish-American War, Jews established a permanent presence in Cuba. American Ashkenazi Jews born in Romania and elsewhere in Eastern Europe immigrated to Cuba to work for U.S.-owned plantations and businesses. In 1906, 11 American Jews founded Cuba's first synagogue, the United Hebrew Congregation, a Reform synagogue that conducted services in English. This is considered the official beginning of the Cuban Jewish community. A large number of Jews immigrated to Cuba from 1910 until 1920, including Sephardic Jews from Turkey. Many of these Jews came from Eastern Europe and used Cuba as a stopover en route to the United States, which had a strict quota system at that time. Many decided to stay since there was little anti-Semitism in Cuba, as well as good weather. Many of the new immigrants from Europe prospered in Cubans garment industry. By 1924, there were 24,000 Jews living in Cuba. 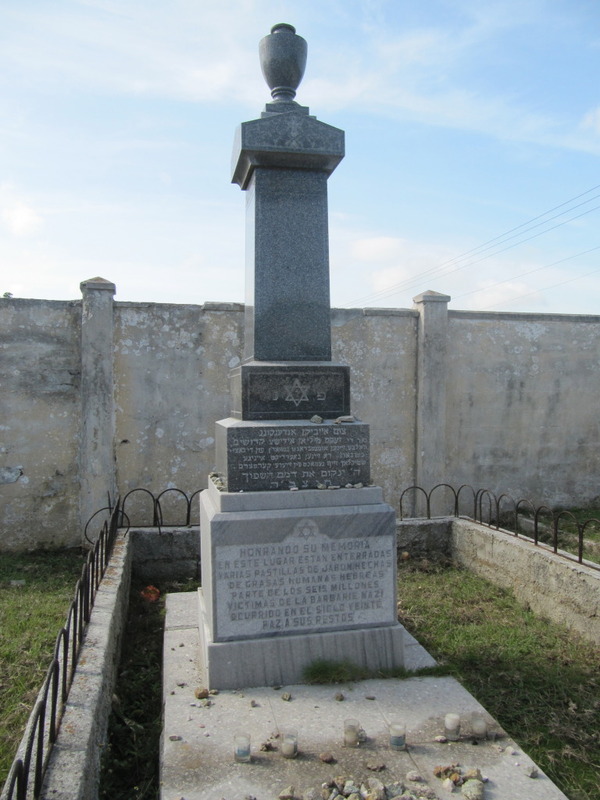 In 1921, Rodolfo Zillon Namer founded Cuba's third official synagogue, Union Israelita Bnai Zion, in Holguin. He was related to Roberto Namer, a Syrian Jew who was nominated in 1935 as Cuba's consul to Palestine. Jews were called "Polacos" (Pollacks) by the Cubans, even if they were not from Poland. In fact, all immigrant Jews and non-Jews without an English accent were called Polacos, including Germans, French, Hungarians and Turks. In the 1930s, a Central Jewish Committee was founded for all the Jewish groups in Cuba. Jews continued to seek asylum in Cuba during the Holocaust. One Havana-bound German liner, the St. Louis, was denied access and the Jews were unable to depart from the ship. In 1944, Jews from Antwerp who were able to find refuge in Cuba began a diamond-polishing business. In 1952, only 12,000 Jews were living in Cuba. Two synagogues were built in Camaguey, in the 1920's. Shevet Ajim served the Ashkenazi, while Tiferet Israel served the Sephardim. The Jewish population of Camaguey grew to more than 800 people before the Revolution. A Jewish community was founded in Santiago in 1924, called the Jewish Society of Eastern Cuba. The society was housed in a rented space until 1939, when it finally moved into a new building, which became the Synagogue of Santiago de Cuba. Two Rabbis served in the synagogue, Senor Isaac Chiprut Confri, from 1924 until 1943, and Senor Victor Farin Sarfati, from 1946 until 1967. Santiagos Jewish population consisted mainly of Sephardim from Turkey, who came to Cuba seeking a better life. At the beginning of World War II, Ashkenazi Jews from Poland arrived in Santiago fleeing Nazi persecution. The Jewish Society remained active until 1959; after the Revolution, most of the Jews immigrated to other countries. Havana has the largest Jewish community in Cuba. During its height, more than 12,000 Jews lived in Cuba and, of that, 75 percent lived in Havana. Havana had five synagogues (including one Sephardic synagogue built in 1914), a Kosher restaurant, one Jewish high school and five Jewish elementary schools. At the time of the Revolution in 1959, Cubas Jewish population peaked at 15,000 people. Approximately 94 percent of Cubas Jewish population fled after the Revolution. Some settled in Israel, thanks to secret diplomatic efforts made by the Canadian government. While the Revolution did not target Jews specifically, they did suffer economically along with other members of Cubas middle class. Most the remaining Jews lived in Havana. Those who chose to stay did so because they were either too old or too poor to leave, were assimilated into Cuban society or believed in the Revolution. An interesting mix of cultural freedom and Anti-Zionist feelings prevailed in Cuba. Cuban Jews were discriminated against, along with other Cubans who were members of religious groups. Jews and Christians and other religious people had restricted access to jobs and universities. Despite school and job restrictions, Jews were able to practice their religion. They were permitted to buy and distribute kosher food and were able to receive donations from Canada and other countries for special Passover and New Years food products. Protection against national, religious and racial hate was also a part of the Cuban criminal code. On the other hand, Cuba permitted training camps for Palestinians terrorists on its soil, both Abu Nidal and George Habasch trained in Cuba. Cuba also published Anti-Zionist, anti-Israel propaganda pieces and banned the books by Anne Frank, Isaac Bashevis Singer and Elie Wiesel. In the late 1960's, a number of Jews were sent to forced labor camps for political dissenters, religious peoples, gays and exit applicants. Jewish activists were under constant surveillance. Due to this atmosphere, Jewish life suffered in Cuba, but never disappeared. Jews still could pray in shuls and attend Jewish Sunday schools. In the 1970's, the synagogue in Santiago, the school in Havana and the Zionist Union of Cuba were closed. Another synagogue in Havana, the United Hebrew Congregation, was abandoned in the 1980s. Throughout the 1980s, the Patronato, Havanas main synagogue, could barely recruit a minyan. Some Jewish families continued to practice Judaism at home and celebrate the major holidays. Cuban Jewry faced increased assimilation and its elders were worried about the communitys future. In the early 1980s, the Tikkun Olam Hebrew Sunday School opened in Havana to address the needs of Cubas dwindling young Jewish population. The school grew with time, due to the leadership of Dr. Moises Asis, the principal and one of Cubas few Jewish educators. In the early 1990s, Operation Cigar was launched. In the period of five years, more than 400 Cuban Jews secretely immigrated to Israel. Another 200 Cuban Jews are currently in the process of making aliyah. The details surrounding the operation are unclear; some claim Margarita Zapata, a relative of one of Castros close colleagues, convinced Castro to permit the Jews to emigrate. Castro did not want to publicize the emigration because it might appear he was allowing special arrangements to be made for Cubas Jews. While, officially, Cubans are allowed to emigrate, most do not have the finances to do so. The first group of 70 Cuban Jews arrived in Israel in 1994. The Jewish Agency eventually covered the initial exit fee of $150, which was more than fifteen times the average monthly wage in Cuba at the time. The current Jewish population in Cuba is one tenth of the size that it was before the 1959 revolution, and shrinking. Despite anti-Israel sentiment that existed in Cuba, the only time blatant anti-Semitic attacks occurred in all of Cuban history was during the Gulf War. Arab students threw stones at Adas Israel Synagogue in Havana, but the violence was quelled immediately and no one was physically harmed. Because of the collapse of the Soviet Union and the end of the Cold War, as well as the economic hardships due to the U.S. embargo, Cuba sought to liberalize some of its policies. In 1991, a law permitted members of the Communist Party to participate in religious associations. This was the first step toward a rejuvenation of Jewish life in Cuba. The American Jewish Joint Distribution Committee (JDC) was instrumental in rebuilding Cuba’s Jewish population. Since 1992, the JDC has sent rabbis and community organizers to help with education and to perform ceremonies and has established a computer educational center linking the Jewish communities of Havana, Santiago and Camaguey. The JDC also provides basic commodities, which are scarce in Cuba, such as food and special shipments of items needed for Jewish holidays. Health services and medication is also provided by the JDC, which are distributed through a special pharmacy in Havana. 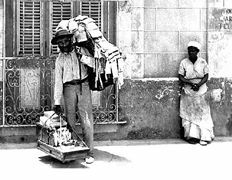 The Castro regime has never stopped U.S. or Canadian Jewish organizations from delivering wheelchairs, school supplies and kosher food to Cuban Jews. Aside from the JDC, B’nai Brith and other international organizations are also providing relief to Cuba’s Jewish community. Three synagogues in Havana survived the Revolution, one Orthodox, one Conservative and one Sephardic. According to Adela Dworin, president of Havana’s largest synagogue, the Patronato, more than 85 percent of Cuba’s estimated Jewish population of 1,500 lives in Havana. However, sources in Miami estimate that only 600 to 800 Jews remain in Havana, as nearly 700 Cuban Jews have immigrated to Israel in the past 10 years. In 2013 72 Cuban Jews made Aliyah and moved to Israel. Havana’s Jewish Sunday school teaches more than 150 students, ranging in age from 4 to 60. Classes are held in the sanctuary because of lack of space elsewhere. Santiago’s synagogue was reopened in 1996 and served 90 members of Santiago’s Jewish population. A women’s organization was started and a Hadassah chapter, run by Cuban Jewish doctors, began distributing medicine to the sick. There is a synagogue in Camaguey, and Shabbat services are held at private homes in Cienfuegos, Guantanamo, and Sancti Spiritus. Outreach programs have started to reach out to interfaith couples living in Cubas remote provinces, in many instances the spouses have converted to Judaism and are raising their children Jewish. More than 60 percent of Cubas Jewish population are converts, according to the Joint Distribution Committee. Israels Chief Rabbi, Rabbi Yisrael Meir Lau, visited Cuba in 1994 and deemed the conversions valid. Currently, there is no rabbi in Cuba, but Rabbi Shmuel Szteinhendler (a rabbi in Santiago, Chile) is considered the Chief Rabbi. He travels to Cuba several times a year to perform weddings, bar/bat mitzvahs, circumcisions, and baby namings. Typically weddings are performed for multiple couples because the rabbi is there so infrequently. Jewish religious services are held routinely on Friday nights and Saturday mornings at the Beth Shalom (El Patronato) Synagogue. The Hotel Raquel in Havana caters to Jewish visitors. The top floor rooms have names like "Sinai" and "Gallilee." There are stained glass windows with Jewish themes and contemporary paintings by Cuban Jewish artist Jose Luis Farinas. The phone system plays the theme song from Schindler's List when callers are put on hold. There is a kosher style restaurant serving gefilte fish, Israeli salad, cheese blintzes and Hungarian goulash. There are plans to create a Jewish square on Acosta Street where the Adath Israel Synangogue is located. In December 2006, the Cuban Jewish community celebrated its 100th anniversary. Festivities began with a cultural gala at Havana’s National Fine Arts Museum and will continue all month with religious services, music, dancing, parties, and speeches. 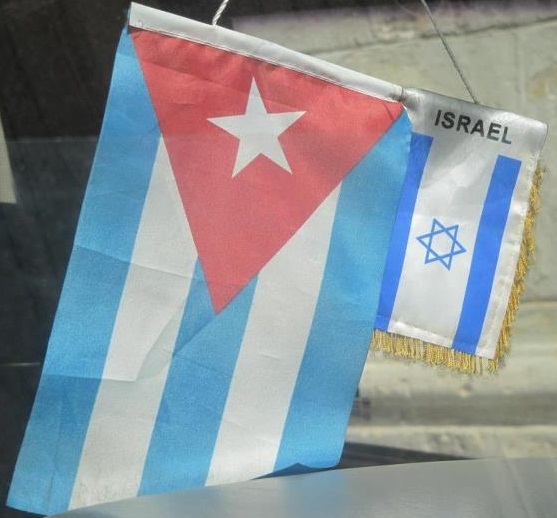 The Jewish community in Cuba enjoys certain benefits due to their status as a religious minority, and their assistance from outside organizations. The local synagogue has computers with internet access, video game systems for children, and various other luxuries that are scarce in Cuba's restrictive culture. The community receives financial support from organizations such as the American Jewish Joint Distribution Committee, which allows the synagogue to provide free meals on Fridays and Saturdays. The synagogue also houses the community pharmacy, and gives out free medicine that has been donated by aid organizations. Despite this, Jewish individuals in Cuba still suffer the same depressed conditions as other Cuban citizens and often make less than $40 US per month from their jobs. US President Barack Obama and Cuban President Raul Castro announced a plan to improve US-Cuba relations on December 17, 2014 in a move that has been called "The Cuban Thaw". This announcement came after over one year of sporatic negotiations in Vatican City between officials from the two countries brokered by Pope Francis himself. As a product of the negotiations, Cuban Jews living in America with family in Cuba are now allowed to send them $2,000 every three months, four times the previous limit. These improved relations will hopefully stimulate the Cuban economy and provide more opportunities for Cuban Jews as the Cuban-US Market expands. Although Fidel Castro has been respectful towards the Cuban Jewish community, he has been generally hostile toward Israel. Originally Castro was very supportive of Israel, mostly due to sympathy he had for Jews as victims of facism and his identification of the State of Israel as a socialist country. As a result, Cuban foreign policy was generally sympathetic towards Israel. Following the Six-Day War in 1967, this position changed. Castro broke relations with the Israel just before the 1973 Yom Kippur War. He also sent Cuban soldiers to participate in battles on the Syrian side. In 1974 the Cuban government invited Yasser Arafat to visit Cuba and provided advance training for the PLO and other Palestinian military organizations. On October 12, 1979, Castro made a speech at the U.N. claiming that Israel was committing genocide against the Palestinian people, similar to the "genocide that the Nazis once visited on the Jews." Opposing Israel has led Castro to aspire to the leadership of non-aligned nations and to gain support from Arab countries in the United Nations. It also has become a way for Cuba's leader to take a stand against imperialism and express his hatred of the power concentrated in the United States. By the late 1980s, relations warmed up somewhat. In 1988, an official delegation from Cuba visited Israel to study irrigation methods. In 1994, Israel's chief Ashkenazic Rabbi Yisrael Meir Lau visited Cuba and was cordially recieved by Fidel Castro. Israel has also taken advantage of Cuba's new openness to foreign investment, investing in the Cuban citrus industry and inciting the anger of the U.S. government. Sources: Tapper, Josh. "Despite new hope, old problems remain for Cuba's Jews". Haaretz, January 26 2015. Abel, David. "Cubas Jews Take Heart from First New Synagogue Since Revolution. The Jews of Cuba. Jewish Cuba. Asis, Dr. Moises. "Judaism in Cuba 1959 - 1999: A Personal Account." The Jews of Cuba. Bandler, Kenneth. "Jewish Youth lead the way in a long-isolated community." The Jews of Cuba. Cuba. The Jews of Cuba. Frank, Ben G. "The Jewish Traveler: Havana". Hadassah Magazine, January 2005.History of the Community. The Jews of Cuba. Letter from Havana. The Jews of Cuba. "Operation Cigar: A Not-So-Secret Cuban Aliya." Jewish Agency for Israel October 14, 1999. "Castro can’t make it, but Jews in Cuba mark 100 years on island." JTA News, November 30, 2006. Jewish Community of Cuba by Jay Levinson.